Some bands and artists stay with us forever. One good example is the British rock band Queen. This iconic band is well known for its musical versatility, brilliant lyrics and beautiful melodies, and of course, its frontman Freddie Mercury. Indeed, Mercury’s outstanding voice has often been called incomparable. The Zanzibar-born superstar was simply one of a kind. That is also why, unfortunately, it is rare to fall on a decent Queen song interpretation. 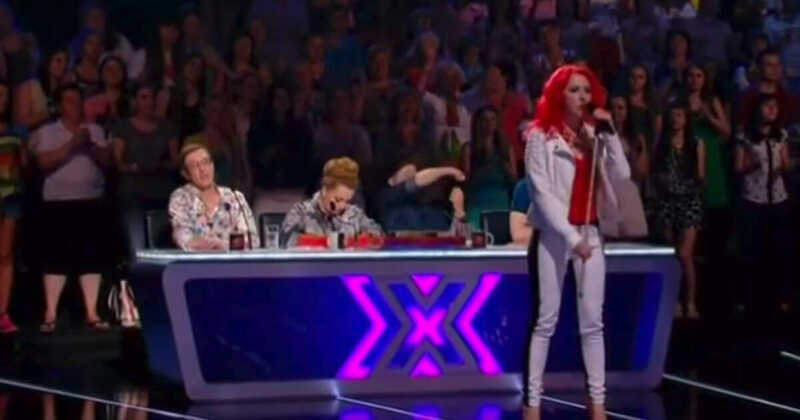 But, now and then a gem emerges… such as 29-year-old Julia Ivanova, whose incredible talents took center stage during the Ukrainian edition of popular TV program “X Factor”. When Julia Ivanova walked on stage, the jury and audience did not know quite what to think. With bright red-hair hair and clothes that seemed to be purchased at a vintage glamrock shop, she was met by some sneers. As if that were not enough, the 29-year-old announced that she would be taking on an “impossible” interpretation. What was she thinking? But it wouldn’t take Julia long before she changed everyone’s minds. As she began to sing sang the Queen masterpiece “The Show Must Go On”, it was clear this woman was a force to be reckoned with. When everyone heard her powerful, deep, and clear voice, it became obvious why she chose that particular, ‘impossible’, song. Wow, what a talent. I firmly believe that Freddie Mercury himself would have been proud of this performance. Don’t hesitate to share Julia’s amazing interpretation, so that more can discover this talented young woman. She deserves it!